The Parliamentary Constituency field holds the Westminster Parliamentary Constituencies and the Alternative Constituency holds the Welsh Assembly name or the Scottish Parliamentary Constituency. In the case of Northern Ireland, Stormont (NI) Constituencies are currently the same as Westminster Constituencies and are therefore named in the Parliamentary Constituency field. Westminster Parliamentary Constituencies are the areas used to elect Members of Parliament (MPs) to the House of Commons, which is the primary legislative chamber of the UK and is located in Westminster, London. To produce this data list, the Parliamentary Constituency code and name are geographically matched to each Postcode in the UK. 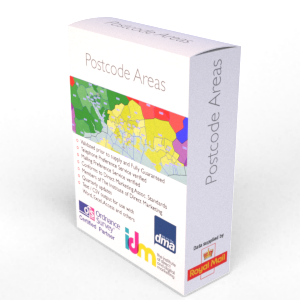 In addition to the Westminster Parliamentary Constituency codes and names, this product also includes the Westminster MP names and Party currently holding the seat and also an additional field to identify the Scottish Parliamentary Constituency in Scotland and the Welsh Assembly in Wales. Westminster Parliamentary Constituency are of course used to elect Members of Parliament to the House of Commons. Currently there are 650 constituencies in England and Wales (2015 General Election). The Parliamentary Constituency data is by default emailed at the time of order using a secure download link delivery method. If you require the data supplied in another format then we will be more than happy to accommodate you where reasonable to do so at no extra cost. The Parliamentary Constituency list is licensed annually for each user that has access to it.